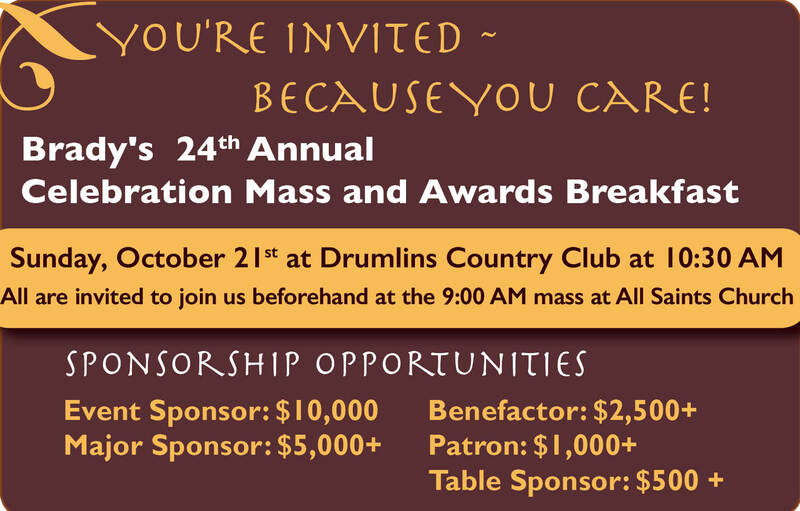 On Sunday, October 21st supporters will join the Brady community in a special morning of celebration. Mass is at All Saints Church on Lancaster Ave. prior to the breakfast. The breakfast and celebration is at Drumlin’s Country Club just up the road, on Nottingham Rd. If interested in sponsorship opportunities, please contact Kevin Frank at ktfrankbfc@gmail.com. Thank you!